Here’s something interesting: As first reported by Axios, a data analytics company called Crowd Tangle finds that Rep. Alexandria Ocasio-Cortez enjoys vastly more Twitter interactions than any other Democrat, and any media portal. Think about that. 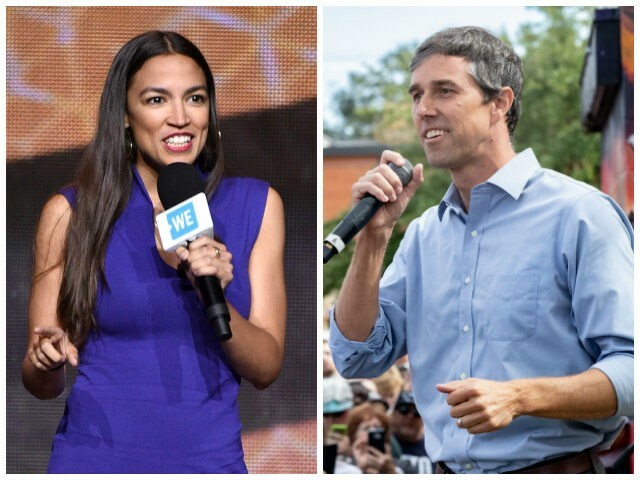 Ocasio-Cortez, or AOC as she is increasingly known, is 29 years old, and yet she is more viral, in social media terms, than any other Democrat, including former President Barack Obama. And she also boasts more interactivity than any media portal, including the nation’s largest-circulation newspaper, USA Today. To be precise about it, during the period December 11 to January 11, AOC claimed a combined total of 11.8 million retweets and likes, more than twice the number for the runner-up Democrat, Sen. Kamala Harris, and nearly quadruple the number for the top-ranking news portal, CNN. Not surprisingly, President Trump led all people and portals, with a massive 39.8 million interactions (more than nine times the total for Barack Obama, by the way). Yet still, AOC’s second-place total, 11.8 million, is impressive, considering that she’s been in elective office for only a couple of weeks. AOC has succeeded because she brings big issues—whether one likes them or not—to the fore, and she does it with urgency. Most recently, in response to the partial government shutdown, she’s been leading a new social-media campaign, “Where’s Mitch?” which is a known wink to the classic “Where’s Dee?” TV spot—the spot that got Sen. Mitch McConnell (R-KY) elected back in 1984, five years before AOC was born. Put altogether, it’s working for her. And lately AOC has been championing another cause: dramatically hiking taxes on the rich; we can look to Google Trends to see how usage of the phrase “70 percent tax rate” has spiked. Indeed, a new poll finds that a sizable majority of Americans agree on raising the top tax rate. That’s the power of star power. So yes, in AOC’s case, a star has been born. Of course, across the cultural spectrum from PewDiePie to Marie Kondo, social media is creating galaxies of new stars. To be sure, these new stars owe much to the past success of reality TV, and yet, without a doubt, they are doing things in their own new ways. And the same is true for politics. We’ve already met Dan Crenshaw, the war hero with the eye patch, and let’s also not forget liberal heartthrob Beto O’Rourke—who provides a cautionary tale about the danger of excess, too much information. Whatever happens in the future to any of these new political stars, left or right, this much seems true for sure: We are seeing, as I have written recently, a new species of media personality, the political digital native, and a new kind of media, the personalized micro-channel—although some channels, of course, might not be so micro. These developments are taking us into yet new political-media territory, although it might, at the same time, seem distinctly familiar. If, as we have seen, political stars are bigger than their portals, then what does that tell us? We might go back and ponder again the numbers on Twitter interactions—the data showing that in a one-month period, AOC had 11.8 million, while CNN had just 3.1 million, ABC 2.2 million, and the Washington Post 1.5 million. Looking at this newbie star power, one wonders if AOC, as well as others, will be tempted to seek a new arrangement. That is, if they’re the ones with the brightness, then why are they sharing their wattage—and, of course, their data, and the data of their users—with Twitter and the other social media platforms? Wouldn’t they be better off on their own platforms where they could control everything about their interactions with their followers? Why not get rid of the middle man? If there’s ABC-TV, then why not AOC-TV—or its digital equivalent? The two-dollar word for this process is “disintermediation.” That is, a media relationship is reorganized with an eye toward greater efficiency—and, of course, greater benefit for the people doing the disintermediating. We know this disintermediation can happen because it’s happened before, and quite successfully, in another kind of media. In fact, it was almost exactly a century ago, on February 5, 1919, that four of the biggest movie figures of the age—actors Charlie Chaplin, Douglas Fairbanks, and Mary Pickford, as well as director D.W. Griffith—joined forces to create United Artists (UA). That glittering quartet was reacting to the monopolistic abuses of the Hollywood studios—most egregiously, Jesse Lasky’s Famous Players. UA’s idea was that artists should control the movies, not the studios and distributors; in other words, UA aimed to disintermediate the status-quo system. We are going to make pictures, and make them as we want to, without the hampering restraints of set dates of release, and we are going to put the distributing profits into the pictures, where they belong. For a time, UA was the hottest thing going. In its heyday, it attracted the talents of some of the greatest film legends, including Sam Goldwyn, Darryl Zanuck, and Walt Disney. Over the decades, UA was responsible for many memorable films, from City Lights (1931) to Rebecca (1940) to Some Like it Hot (1959) to the James Bond series. Yet the disintermediation idea is a kind of permanent revolution, not limited to any one time or any one sector. Just as new media have been disintermediated by old media—and new media has been disintermediated by newer media—the same process of “creative destruction” is happening in, for example, streaming music and video. And did I mention that all the content-producers are plotting to disintermediate Netflix? Politics, of course, is next.